Boeing has released a stunning new video of the 787-9 Dreamliner soaring above Washington state ahead of next week’s Paris Air Show. The Vietnam Airlines Dreamliner is scheduled to fly during the show that opens June 15. The video was filmed above Moses Lake, Wash. It highlights technical manoeuvres that showcase some of the airplane’s many capabilities. As of last month, Boeing says, 30 customers have ordered 509 787-9s, 46 per cent of all 787 orders. The Dreamliner video is courtesy of Boeing. As it continues its transition to an all-Boeing long-haul fleet, Spanish airline Air Europa has ordered 14 Boeing 787-9 Dreamliners, valued at $3.6 billion. Boeing said Thursday the order was booked in December and was previously attributed to an unidentified customer. In all, the airline has ordered 22 787-8s and 787-9s. “Since its beginning, Air Europa has always operated the most contemporary airplanes available to the market. With the steps we are taking, we will become an airline with the most modern fleet in the world,” said Juan Jose Hidalgo, president of Globalia, the parent company of Air Europa. The first Dreamliners will start arriving in 2016. The airplanes will be powered by Rolls-Royce Trent 1000 engines. The deal with Rolls-Royce also includes a long term service support, the British engine maker said. “We have plans to further expand our long-haul service and the Trent 1000 will deliver excellent economics through its performance and support service,” Hidalgo said. 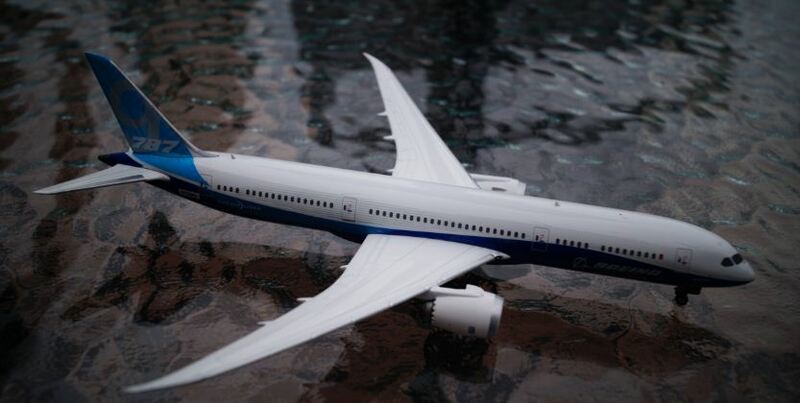 The airline already has eight Trent 1000-powered 787-8s on order that will enter service in 2016. Rolls-Royce said its engines powered the 787 test flight in 2009, the first 787-8 to enter service in late 2011 and the first 787-9 to enter service last year. The first 787 was delivered to the launch customer All Nippon Airways in September 2011. Boeing has won orders for 1,071 Dreamliners and delivered 228 so far. In addition to ANA, major customers include AerCap, Etihad Airways, Air New Zealand, Air Canada and Air India. Air Europa is one of Spain’s largest airlines, serving more than 40 destinations. Images are courtesy of Air Europa and Rolls-Royce.